Included in each package is a non-breathable underlay, this is placed underneath the carpet when laying to prevent the build up of condensation during your event (grass gives off a lot of water vapour if not covered). Grass is very tough so covering for a week or so will not generally cause any harm. 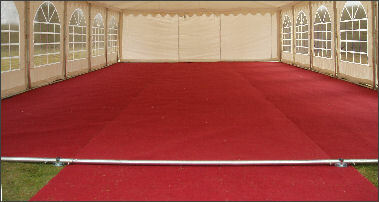 Never laid marquee carpet before? We've got you covered.